The library is not just for students: our mission calls on us to help UDC faculty succeed too! 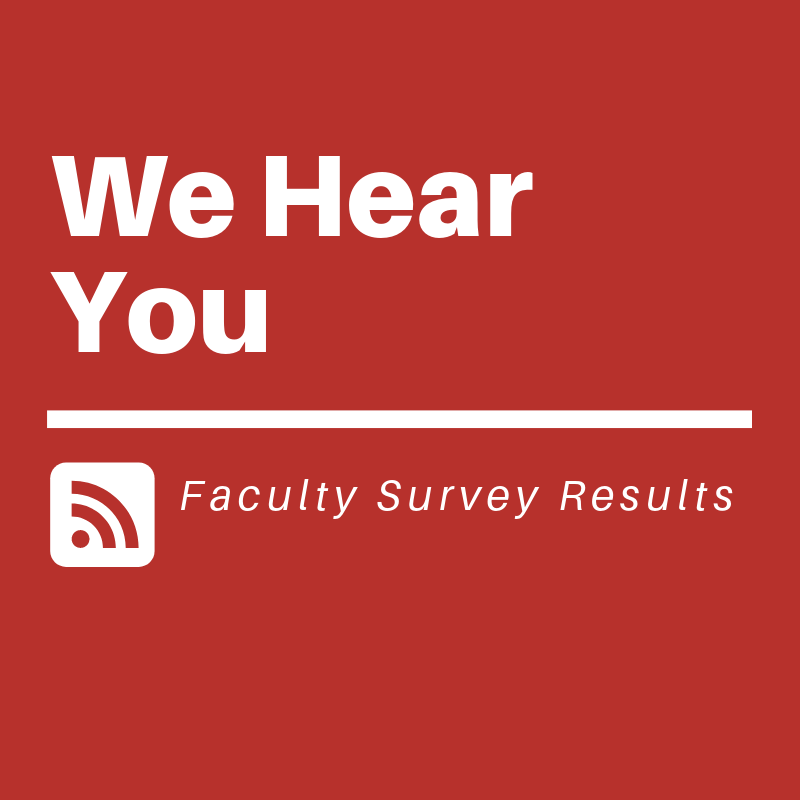 Since faculty use the library differently from students and have some different needs, we followed our student survey with a special survey for faculty, which was circulated in January and February 2019. We are thankful to the faculty who responded for sharing their insights! Most courses cover research and information literacy skills: 62% of respondents said they typically incorporate research and information literacy skills into their teaching, whether on their own, through scheduling library instruction, or both. Nearly 40% of respondents said they have had librarians teach a tailored library instruction session for at least one of their classes this academic year. You value a lot about the library, especially access to electronic resources, Consortium Loan Service and Interlibrary Loan, and assistance from librarians and other library staff. What you’d like us to improve: Respondents mentioned that they would like to see more recent/current electronic journals and books, the return of computer labs and collaborative workspace, and more web resources to teach research skills. Regularly updating the Faculty Resources page on the library website with information relevant to faculty—for instance, how to make purchase requests, set up course reserves for classes, or request appointments with librarians. Developing online resources for information literacy and research: Some respondents requested video tutorials on research skills (e.g., how to search for articles in a database). We’re working on them! Evaluating how our collection aligns to UDC programs/curricula: We are embarking on a long-term project to examine the extent to which our print and electronic collections support UDC programs and majors. The results will inform future collection development. We are continually reviewing what we do and how we do it to make sure we serve UDC faculty the best we can. If you have feedback or suggestions for how we can make the library better, please submit them using our online feedback form or the red suggestion box in the library.